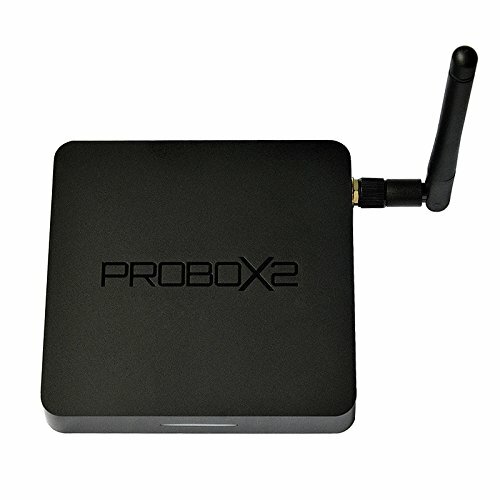 For the past month I have been using the PROBOX2 Air as my daily Android TV box. 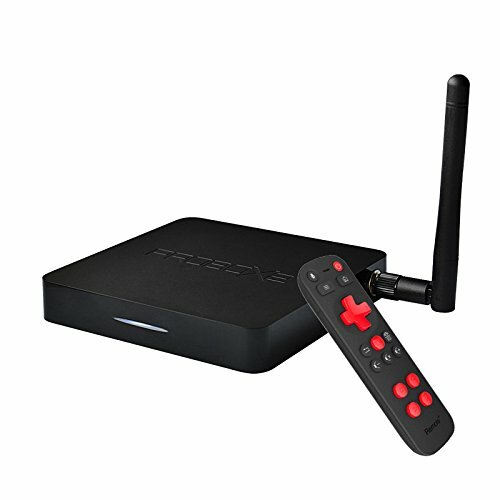 It’s had some fantastic reviews, and looks like a great option for people wanting an Android box to plug into their TV. It’s also one of the first Marshmallow boxes I have used since the Nvidia Shield TV. It sports a rather sleek black square case, but this is much smaller than the Ex+. The ports are positioned on the back and on the left and right of the PROBOX2 Air. 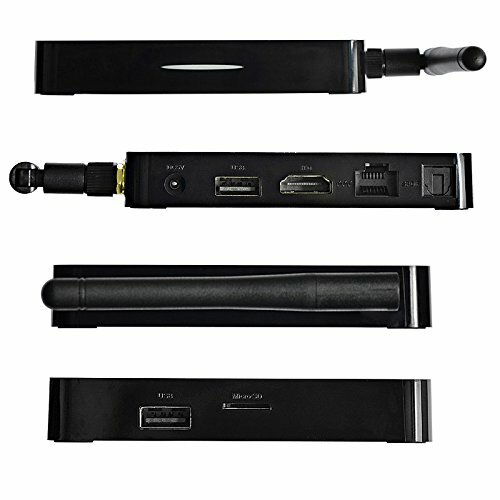 On the back, there’s the power port, video out, Ethernet, HDMI, USB and audio. On one side there is the microSD, the other USB ports. The other side is used for the wifi antenna. 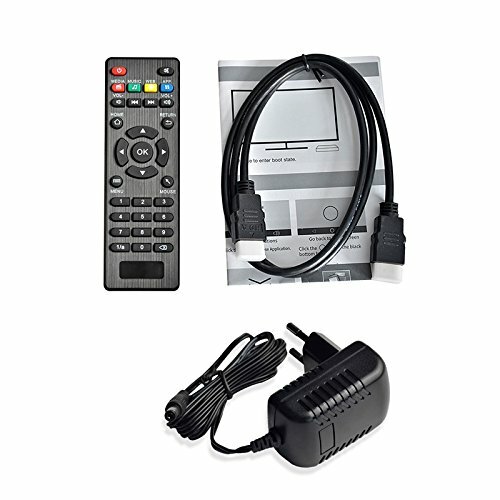 The IR remote that comes in the box is standard and does its job. It’s got media controls, Android buttons and mouse mode. There are 4 colored buttons which allow you to go directly into apps like Kodi. The Remote+ controller I was hugely impressed by. It’s small and basic, It’s got controls for volume control and Android buttons. But it works perfectly, I mainly use the air mouse feature to navigate the OS, and the arrow keys for Kodi. I’m not a huge keyboard user, but the integrated mic means I can voice type when I need to. The initial boot took around 1 min to do, but it can go into standby which means It can be “on/off” instantly. PROBOX ships the Air with a custom launcher. I am still waiting to be impressed by a custom launcher, and this wasn’t one of those occasions. I ended up installing Nova Launcher and works wonders. PROBOX have included Hulu, Netflix, MX Player, some games and Kodi 17. This pre-installed version of Kodi is customised, with PROBOX preinstalling a number of add-ons for video sites. 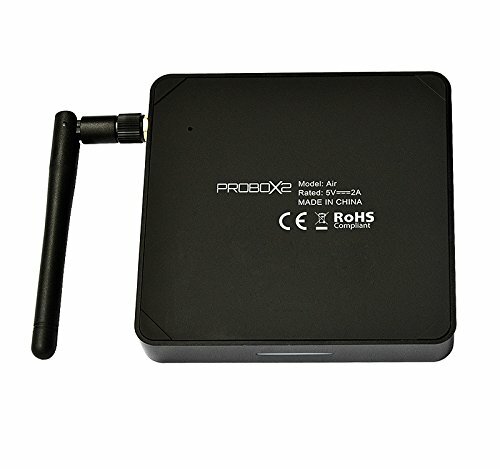 The processor on the PROBOX2 Air handled Android Marshmallow with no issues. There were no noticeable problems when using the OS. Though they are not pushing out Firmware updates every day, the system feel stable. I was also happy to see that it came pre-rooted, I was able to install and run Titanium backup, and Adaway. 720p, 1080p and 4K 30FPS all played fine within the most recent version of Kodi. I did have issues with 4K in 60FPS, where audio was faster than the video. Overall media playback was excellent, and all played as I had expected. I used the internal storage for my apps, and a USB hub with a 1TB 3.5″ drive, which stored all my media and I had no issues with playing at all. Gaming performance exactly what I expected for this spec. Most games played smooth, even on 1080p. Though some 3D heavy games did tend to stutter.